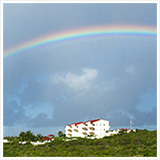 Looking For Things To Do in Anguilla? 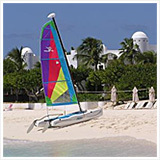 Try These Adventure Anguilla Water Sports! "What do you DO in Anguilla?" Friends who have never been to Anguilla always ask. 48 square miles, 13,000 people, no movie theaters, big night clubs or shopping malls... It's not hard to understand why many people believe Anguilla is a prime travel destination for long naps and beach walks. But, it doesn't have to end there... 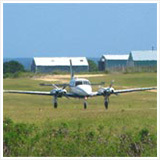 There are many things to do in Anguilla. The #1 Anguilla sport on every adventurer's list? Kitesurfing! Judd Burdon, who knows all about adventure Anguilla water sports, explained it to me one day. A family friend, Judd and I bonded over our attraction to adventure water sports. Judd is a kitesurfing master who also knows his way around the water on a surfboard and a stand-up paddleboard. Kitesurfing is often described as a combination of some of the most popular water sports... Surfing, wakeboarding and windsurfing. It requires the use of both your arms and legs. You 1) are in a harness attached to a large kite, and 2) have your feet strapped into a board similar to a wakeboard. The idea is to catch the wind with your kite and use the wind to build enough energy to catch waves. Because you are "harnessing" the wind, often times you are airborne, sailing 10-20 feet (and even higher) above the air for short periods of time. The experienced (Judd included!) even do flips and back-flips in the air, sustained by the energy of the wind. 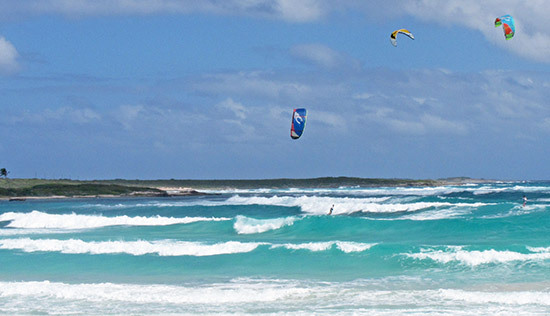 It is one of the most exhilarating and rewarding Anguilla sports, particularly because Anguilla has some of the best beaches and off-island cays, ideal for kitesurfing. I still remember the first time I ever saw Judd catching waves, some 'couple hundred feet off of Meads Bay and Long Bay, where the water runs a deeper shade of blue. Jump after jump, somersault after somersault... In the air. He was flying! 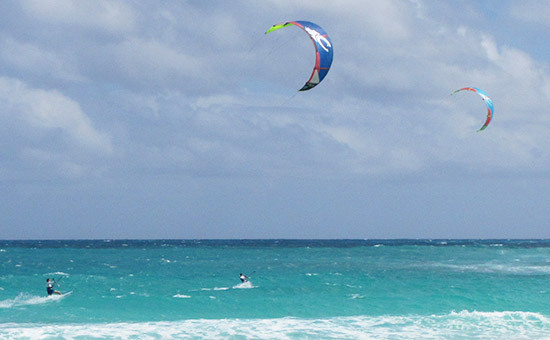 The truth is, Anguilla is an excellent kitesurfing destination. No crowds You often hear stories of kitesurf spots that are densely populated with aggressive kitesurfers all jockeying for the best positions. 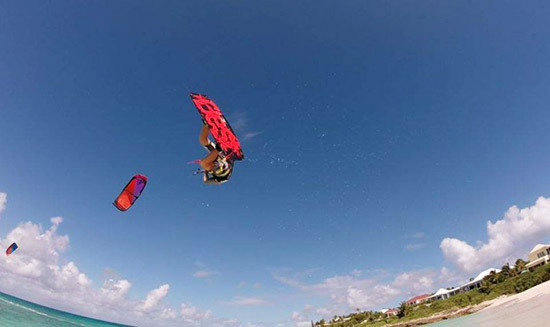 With few kitesurfers and a warm and welcoming vibe amongst the kitesurfers that are here, that kind of ultra-competitive spirit simply doesn't exist in Anguilla waters. A variety of conditions From the offshore spots that offer 10-20 foot waves (that break over shallow reef!) and are exposed to heavy wind, to those that are sheltered and calm with sandy bottoms, there's a setting for every level of kitesurfer. Consistent wind If you check WindGuru, the go-to site for us watersports fanatics, you will see that Anguilla has wind year-round. Trades consistently blow through from the east, with the highest winds being in the winter months and during hurricanes/tropical storms in the off-season. 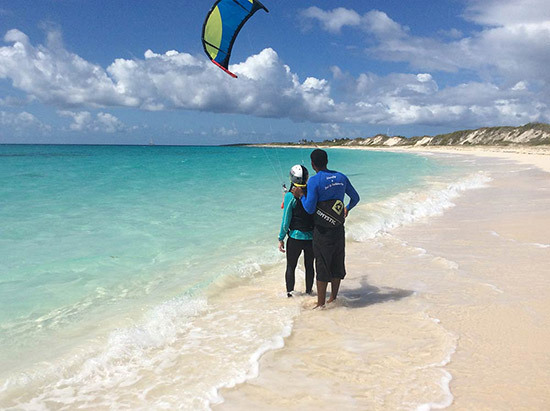 Now, kitesurfing in Anguilla is more accessible than ever with Judd's world-class kitesurfing school, Anguilla Watersports. 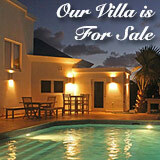 Judd has taught many people in Anguilla, from adults in their 40s to children as young as 8 years old. His methods are effective and safe. For us beginners, he teaches you about the gear, how to launch, control and steer your kite, and just about everything you need to become a kitesurfing master, riding the wind and waves. Instruction begins on Cove Bay, one of Anguilla's most serene and gentle beaches. If you're an experienced kitesurfer, Judd rents equipment and provides tips for improvement. 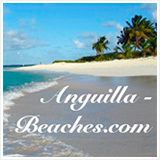 Anguilla Watersports gives lessons daily (for both beginners and experts seeking coaching). It is highly recommended to book in advance. Prices for lessons are at around $200/hour, with all of the equipment provided. You will catch a wave at the end of your lesson! 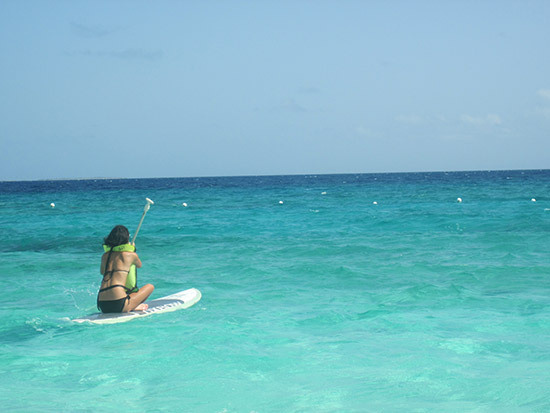 My sister, Yuki and I were first introduced to stand up paddleboarding at Viceroy Anguilla. 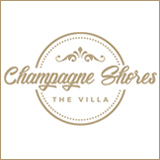 They also offer one of the most fun and easy-to-learn adventure water sports, Stand Up Paddle Surfing! Stand up paddle boards were originally used by ancient Hawaiians as a method to travel between islands. More recently, "stand up paddle surfing" was commonly practiced by the elderly in Hawaii. It is much easier to learn, and much more leisurely than normal surfing. The board is usually over 9' long and 2.5' wide, making it much more stable and easy to balance. Contrary to what you may think, stand up paddle surfers don't strictly try to catch waves... Many times people enjoy just paddling around calm waters and scouting for sealife! "There's nothing to it! Just hold a firm, square stance, feet wide apart, at the center of your board, and you're ready to go," we were told by our instructor. We slid our boards into the water, and hopped on. It was a calm, early summer morning on Meads Bay. The water was cool, and the morning was fresh, not hot yet. The sea was glassy and still, too still to "catch a wave" but... Ideal SUP conditions for easy paddling! It may be called stand up paddle surfing, but in my case it was sit down paddle surfing! It may be easier than normal surfing, but getting your balance requires a bit of practice. It wasn't long before Yuki popped up, paddling all the way around the rocky promontory between Meads Bay and Barnes Bay. Cruising past the modern-chic Viceroy from the sea provides a unique view... It looked like a scene from Hawaii Five-0! Too soon we found ourselves paddling back. Yuki and I couldn't stay away for long. We enjoyed it so much we returned later that afternoon when the hot sun was beating down. Hopping off the edge of the board and into the water was the perfect way to recharge before paddling-on. If you are looking for an easy, peaceful Anguilla sport that keeps you cool, SUP is most highly recommended. Note: The summer seas made for some smooth SUP-ing, but come December (through till April) when Meads Bay gets rougher (some days the waves can be 8 feet! ), SUP may be a little more challenging. I would be cautious about navigating the rocky ledge between Meads and Barnes for fear of getting swept up in the rocks. That said, big wave winter conditions at Meads Bay makes for some fun SUP surfing! 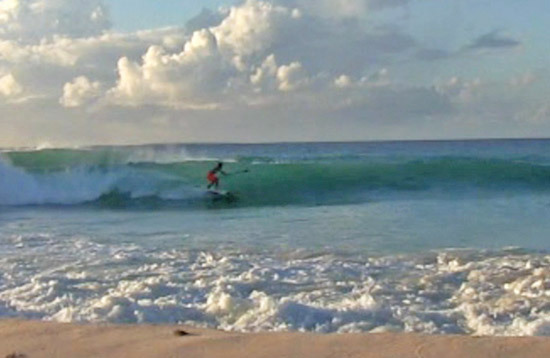 Take a look at Judd Burdon, owner of Anguilla Watersports catching big set waves on his SUP in the photo above. Viceroy isn't the only spot offering paddleboards on the island. 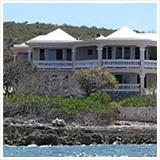 da'Vida on Crocus Bay and SeaPro Charters on Sandy Ground both rent stand up paddleboards for on-site use. Nothing builds an appetite like gently paddling around calm Crocus Bay. 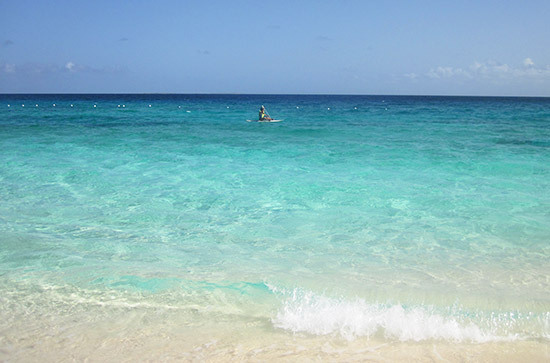 Anguilla Watersports also rents paddleboards. Delivered to wherever you wish (your hotel, villa or even a beach, beach bar or restaurant), each paddleboard rental comes with a lesson and post-session pick-up. Talk about service! That's not all! They offer guided tours of the island's shorelines via paddleboards, too. 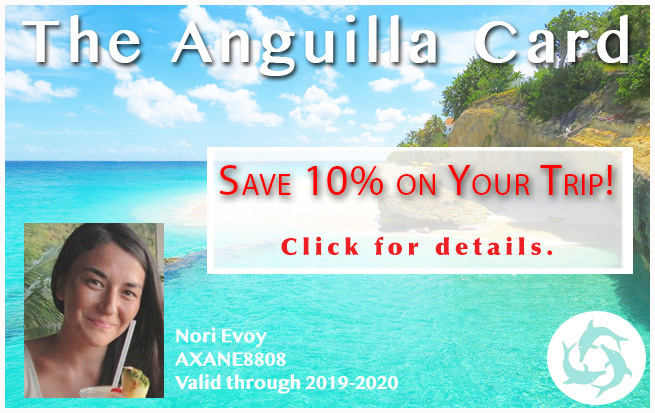 To book, and for more information, contact Anguilla Watersports via the form below. Last on the list of adventure water sports? 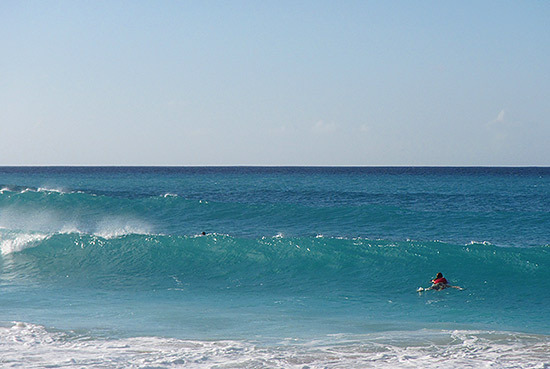 You may not believe me after looking at the photos above and below, but the truth is, Anguilla doesn't have much surfing. 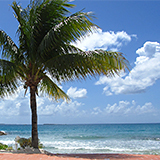 There are three main surf spots: Savannah Bay, Forest Bay and Meads Bay. 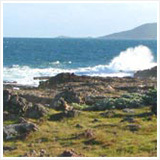 Windswept, with waves that are less steep, and a big sandy bay, Savannah Bay is a perfect spot for those of us who fear big waves and the reef. When the conditions are right, this wave is a blast. With virtually zero danger in the water, there's nothing to fear taking off on a wave here. Judd's son Justin and I have had plenty of fun surf sessions in these waters. When conditions pick up? It can get down right big! But, even when the waves are pumping, there's no real consequence on taking off on set waves. Forest Bay has a few small, constant swells. The only drawback to Forest Bay is the long paddle out to the break. It takes a good 20 minutes to get to it, and another 30-40 minutes to return to shore. Almost in the channel (between St. Martin and Anguilla), when this spot picks up (with plenty of wind on the face of the wave), it gets tough to spot the good ones. I've yet to catch a Forest Bay wave. More details on this surfing spot to come. By far the best spot for Anguilla surfing is Meads Bay. 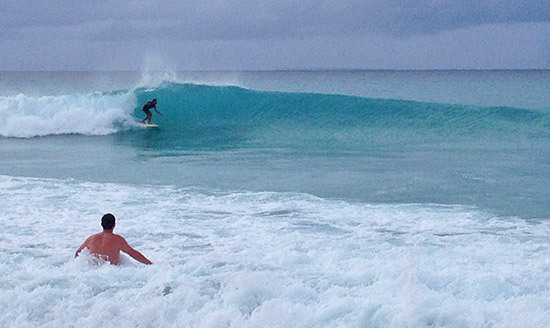 You can surf Meads Bay maybe once a year or once every two years. The photo above was taken in October 2007. In addition to these "main spots," there are a few other, undiscovered bays that produce pretty good waves. Looking for a board? Guided tour? Or a surf lesson? Surf AXA is your best bet! 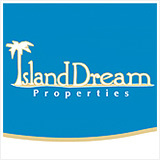 Owned and operated by Akio and Ravi Lloyd, these brothers have a sound knowledge of surfing in Anguilla. From the safe and accessible spots to those that are offshore and require more skill and expertise, they know and surf them all. More info in the link above.